Vinyl home siding is one of the best ways to give your home some extra pizzazz. Consider using four colors in your palette for the best results. These colors consist of the main color, secondary color, trim, and accent. Your vinyl siding stands as your primary color, but paying close attention to the details is what makes your home look as if it was designed by a professional. 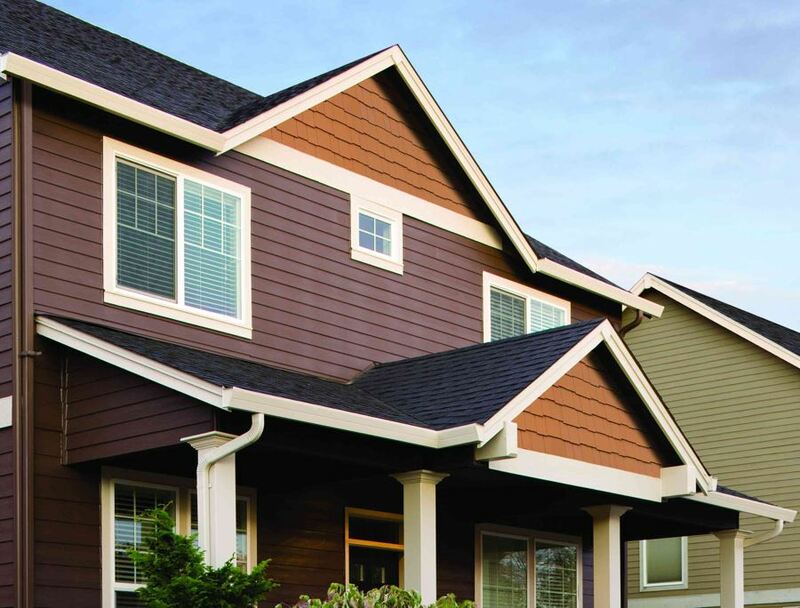 When you decide on a color for your home’s vinyl siding, you’ll want to think carefully about the corresponding colors. If you choose too many colors for your exterior, it will look a bit chaotic and take away from the overall beauty of your home. This is especially the case if your home already has a lot of strong architectural details, such as original wood-carved trim like you’ll find on Victorian-era homes. While you don’t need to choose the same color for every feature, choose colors of similar hues to harmonize your curb appeal. You can use similar colors in light or dark shades for your roof, and you can contrast with a different shade for your vinyl. Homeowners essentially can’t go wrong if they choose a dark roof with light siding and neutral trim. Another detail you don’t want to count out is your home’s architecture. Some contemporary homes can look very modern and chic with bold trim. On the other hand, traditional homes are typically better suited with softer hues. Think of color for traditional homes in classic colors such as beige or white. If you want to add a modern twist to a traditional home, there is always the option to pick modern hues of blue, green, or even grey. If you’re unsure about your color selection, it’s always a good idea to visit a showroom so you can see the vinyl colors in person. Better yet, this also offers the opportunity for a professional to help you pick out the perfect colors to complement your curb appeal. 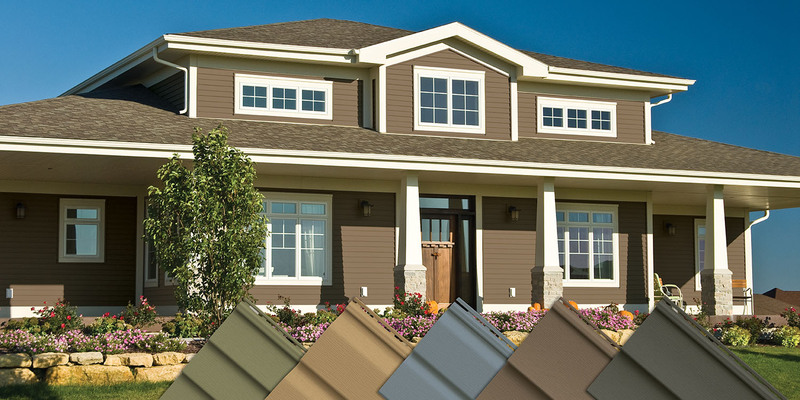 One of the best benefits of vinyl siding is the seemingly endless amount of color options to choose from. Be sure to contact a siding professional such as Universal Windows Direct to maximize your color selection and return on investment.